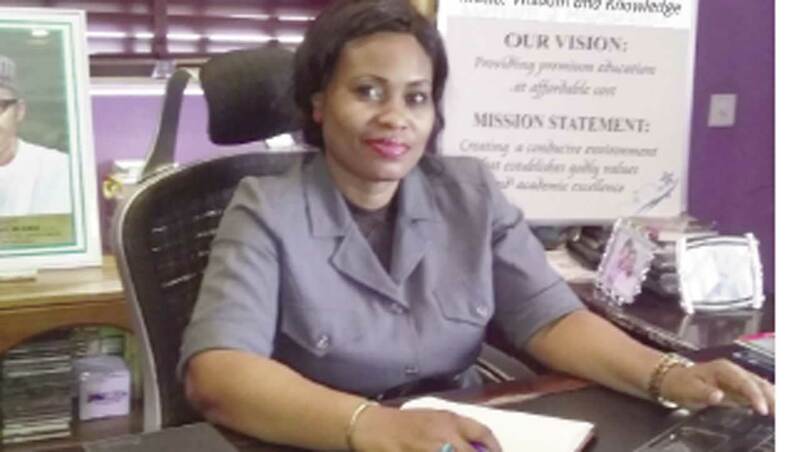 Mrs. Ogechi Igwagu is the proprietor of Lohims Academy, a co-educational institution geared towards promoting godly values and excellence in students. A trained educationist, she advocates that early childhood education should emphasise holistic human development as a foundation for sustainable growth. She spoke with Kehinde Olatunji recently. What was your motivation for going into education? I’ll say that it’s actually a shared calling with my husband. He encouraged me to go for a Postgraduate Diploma in Educational Administration following which I did a Masters in Educational Administration and Planning. Consequently, my interest grew into a passion. I have always had a passion for imparting lives and I believe there is no better way to impact lives than nurturing children from early formative years. How long has the school been running? We clocked eight years this January. It’s been varied but overall, I’ll say the journey has been amazing. The interesting thing about running a primary school is that you don’t just deal with the children; you also have to manage their parents. This is a very important point that we always drill into our team – that beyond providing quality education for our pupils, another critical component of our work is carrying the parents along. I call it The Trinity comprising father, mother and children. So, to summarise our experience in one sentence: it’s been an exciting roller-coaster ride that gravitates from one extreme to the other. From your experience, what are the most common pressures that young school children face? Or are they too young to feel pressure at all? Certainly not. At the primary and secondary school stages, most children contend with peer pressure and bullying. Naturally, every child wants to be like their classmates. Then again, we have seen incidences where some children are more confident than others and inevitably bullying comes into play. I guess the solution should be for schools to have qualified counselors who drum it into the heads of the kids that every child is unique and that just because one child is different from the other does not mean there is something wrong with that child. However, that responsibility should not be left solely to the counselors, it is vital that even the teachers and every member of staff help in driving home the message that every child is special. Some child psychologists say children can be put under pressure by their parents, especially if the child is not meeting up with the parents’ expectations in their academics. What would you say to this? It does happen, though I wouldn’t say that is as rampant as peer pressure and bullying. Every parent wants their child to do well in school and there is nothing wrong with that. However, when parents begin to exert too much pressure on the child and compare them with their peers at young age it could become injurious to the child’s psyche. It may cause self-confidence and inferiority complex issues, which would in turn force the kids to crawl into a shell. So, really, how much academic improvement do we expect from them anyway? So, for parents with kids at that stage of growth, we advise them to spend more time observing the child and getting to know their other interests and talents. That is why extra-curricular activities are important. Parents must accept the fact that kids have different capacities for academic work so everything should not boil down to the classroom. I have seen instances where children who did not seem to be particularly smart in nursery school picked up and became ‘A’ students in primary, while some discovered themselves in secondary school. The bottom line is that parents should learn to be patient during the child’s formative years. They can be firm but not harsh on the child. From your training and experience, how much academic work is a child expected to put in at the Nursery/Primary school levels? If a child within the nursery and primary school stages does their homework regularly, then it’s fine. In Lohims Academy, we don’t place too much premium on notes and assignments. I see a lot of primary schools that practically overload the pupils with notes and it is simply too much for the children. The reality is that education has evolved. Experts recommend increased practical and outdoor activities as opposed to too much emphasis on abstract work. Recently, I learnt from a renowned educator that children don’t really begin to study until they get into senior secondary school. In other words, all our efforts to make them study begins to bear fruit only when they get to Senior Secondary school one. That is when the real academic journey starts for them. That struck a chord with me. So, even though I understand the desire of parents and guardians that their wards excel academically, I will advise that they take it easy with the children. Some children have photographic memory whereby they can reproduce anything they see, others are audio inclined while some others are somewhere in-between. No matter the disposition of the child, parents should learn to manage their expectations. There’s also the controversy over the right age for children to start school. Some school of thought believe the earlier a child begins school, the better. Others disagree. What is your take on this? First, I will like to correct the impression that education, or schooling, begins when the child is enrolled in school. Education begins from home. While I am not questioning the relevance of formal educational institutions, the point to be made is that the home-front plays a key role in the mental and psychological development of any child. That is where learning begins. These days, society has evolved to a stage where it is normal to have both parents working outside the home. That in itself is not wrong. I am also a working mother so I know some of the issues. However, I encourage parents to spend as much time as possible with their children at home before enrolling them into school. If a parent decides to enroll their child at three months, it’s their prerogative. Nevertheless, I strongly recommend that they allow the child develop naturally and that they, as parents, must play their roles in that stage of the child’s life. These days, it is normal to see a child of eight years already in secondary school. The child may be brilliant enough to cope with the academic rigour, but are they intelligent enough to handle social pressure at that level? By intelligence, I mean the child’s ability to engage with his or her environment. This includes factors like the child’s social skills and street smartness, amongst others. The ideal situation should emphasise a balance. We are very firm about this issue and there have been instances where we have had to disagree with parents over this. Sometimes, the parents prefer to take their children away. Now, we don’t always like that to happen because the truth is that it is a loss of income for us but ultimately, we are guided by one question: what is best for the child? As long as we are satisfied that we are acting in the child’s best interest and we can go to sleep with a clear conscience, then we are good. Some parents think you are stopping their children’s destiny but believe me, that is not the case.